The Ministry of Tourism, through the Belize Tourism Board (BTB) has indicated that they recognize the growing private aviation industry and the potential for the tourism industry. Their acknowledgement came following an article printed in The San Pedro Sun on October 17th entitled “Belize slow at tapping into potential ½ billion dollar tourism market.” The response came after numerous attempts for comments prior to the story. 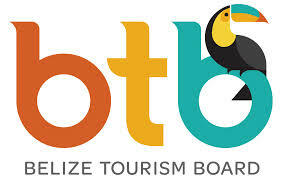 BTB says that they are currently looking into the new potential tourism market as part of its mandate to expand Belize’s tourism capability. The article came to light after Caribbean Flying Adventures cancelled a scheduled tour to Belize with over three dozen small private aircrafts. Instead, the US-based group, led by Jim Parker, decided to divert to neighboring Guatemala after authorities in Belize would not confirm an easier access to Belize. Caribbean Flying Adventures consists of private aircraft owners that fly all over the Caribbean and are part of a half-a-billion dollar industry that promotes tourism and boosts local economies. Earlier this year, Caribbean Flying Adventures flew to Belize for the first time with about 20 private planes in search of a new tourism market. While other countries such as the Bahamas and Turks and Caicos have embraced such an economic opportunity by introducing special mechanisms to facilitate their landing and departure, the same could not be said for Belize. In fact, on their initial flight to Belize, some of the private aircraft owners were subjected to long frustrating hours of waiting and intensive searches upon landing. BTB says that they are also liaising with industry partners to coordinate and financially support a familiarization trip for Mr. Parker. 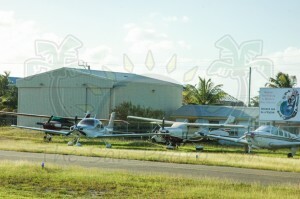 They also took the opportunity to encourage any other private flyers with an interest in Belize to approach them. According to the BTB, they are always looking for ways to expand Belize’s tourism capabilities and open their doors to additional travelers. In addition to extending private aviation to Belize, BTB says that they are doing everything in their power to invest time and money into the best mix of tourist-related options for Belize. BTB did not indicate by when they intend to unveil their plans, or at what level of planning they currently are to encourage and enable private planes to come to Belize en masse.